This article also appears in the Sunday August 13 edition of the Duluth News Tribune. August is a historic month for the Lake Superior & Mississippi Railroad. Its final spike was driven August 1, 1870, and passenger service between St. Paul and Duluth began three weeks later. August 2017 finds Duluth’s civic leaders considering the future of a 5.2-mile stretch of the railroad—all that remains of the original 154-mile track—as the city moves forward with the St. Louis River Corridor Initiative. The city owns the track. Current plans include shortening it to about four miles, terminating at Mud Lake where a causeway carries the railroad over the water. For the last 37 years the city has allowed a small group of volunteers, organized as a nonprofit called the “Lake Superior & Mississippi Railroad,” to operate sight-seeing tours on the road. I’m a big supporter of preserving important pieces of our past and have argued to retain several historic Duluth buildings. Those efforts have lead me to the conclusion that it’s not responsible to save a landmark without a well-financed plan in place for its successful renovation and future. For buildings that means adapting the structure’s interior for modern reuse and securing financing for not only the renovation but moreover the building’s future maintenance and operation. The idea is to not simply save the landmark, but also get it back to serving the community. So it’s not enough to simply save a portion of the road. There must also be a plan to adapt it for future use. In this case that would mean turning the LS&M into an authentic heritage railroad that would contribute to the local economy by drawing significant numbers of visitors to Duluth. Creating such a railroad would be expensive. It would include purchasing historic rolling stock, moving it to Duluth, and likely renovating it. A proper depot and train shed would be needed to protect that investment and create space for a gift shop and exhibits. Such a facility would require ample parking and restrooms and handicap accessibility and may require purchasing real estate for new buildings—and of course liability insurance. Moreover, operating a full-sized locomotive to pull a historic train on the existing line would require replacing all of the track beyond the Tate & Lyle chemical plant in Riverside, still in use by Burlington Northern Santa Fe. The remaining road, which Isaacs reports consists of 1890s-era 67-pound rail atop cinder ballast, is unsafe for the operation of a full-sized locomotive and train. In fact, the rail bed’s current condition already limits the LS&M’s current locomotive to a speed of about five miles an hour. So it would fall to the volunteers of the LS&M, hobbyists who currently struggle to cover the cost of diesel fuel, to finance the railroad’s renovation, infrastructure expansion, and safe ongoing operation and maintenance well into the future. 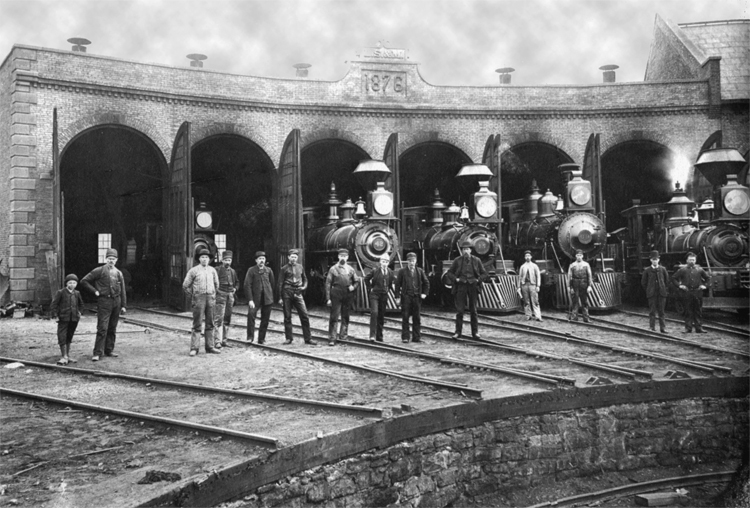 And even then the city, as owner, would remain liable for the railroad—and operating a railroad is dangerous work. When considering the railroad’s condition, it is surprising Duluth ever allowed anyone to use it, let alone that the city is considering saving a portion of it for train operation. Even if the railroad was safe, retaining the causeway would also add to future environmental costs. The railroad’s ties—with an expected working life of 40 to 50 years—need replacing. Wooden railroad ties are soaked in creosote, a toxic, carcinogen-laced byproduct of oil refinement used as a water and insect repellent. Placing such ties over the causeway would leach carcinogens into Mud Lake and subsequently the St. Louis River. Currently millions of dollars are being spent cleaning up environmental disasters at the nearby former U.S. Steel site and the St. Louis River. Retaining a causeway that leaches carcinogens runs completely counter to those efforts. Alternatives to wood-and-creosote ties include concrete and imported ironwood, both of which would add significant cost to the project. So the questions for our city leaders boil down to these: Can Duluth afford the costs—financial and environmental—of retaining all or some of the historic LS&M railroad and adapting it for safe long-term modern reuse that contributes to the community? Is the volunteer LS&M up to the task of raising tens of millions of dollars to support that investment by creating a viable historic attraction? Or, if we retain the existing rails and allow the LS&M to continue operating, how long will the LS&M use the railroad? Because if that group dissolves, then Duluth would be stuck with several miles of unused railroad along the river—industrial complex in an otherwise natural setting—when it could have spent less money creating a multi-purpose trail that serves a much larger portion of the community year-round. I appreciate the passion of today’s LS&M volunteers have for the historic LS&M and personally would be very happy to see both survive—heck, if it were feasible I’d love to see the railroad rebuilt all the way to Fond du Lac. But I also feel that retaining the railroad without investing in its adaptation for a successful future would be irresponsible. Whether all, some or none of the original LS&M is retained, Duluth can and should celebrate the railroad’s history with, at the very least, interpretive signage along its historic path. And if portions are removed, Duluth will have literally tons of salvaged historic rails, raw material local artists could use to create a fitting memorial to the railroad that made Duluth the city of destiny at the head of the Great Lakes. There is another potential option for reusing the historic railroad, but it doesn’t include the operation of a steam or diesel train; you can read about that here. Well said, Tony. Having recently retired as a federally certified railroad conductor on one of the nation’s largest Class 1 carriers, I was responsible for operating freight trains—and passenger trains—carrying as many as 1,500 riders on a single run. It’s dangerous work and the issue of ongoing maintenance on any size railroad is hugely important, and expensive. When considering the city’s current and future liability everyone involved with today’s LS&M really is fortunate that the city provided them with the opportunity to continue to use historic but aging railroad property. Surely there must be uncertainty that the LS&M’s own aging group of volunteers will still be active a few years from now. I would hope so. But without a real plan for the LS&M, what will remain functional and attractive to the community even a few years from now is anyone’s guess. I am especially happy that Duluth has invested considerable effort to study saving a portion of the line for future use. I’ve read the report and it is eye-opening. While much was shared, little was included about the smaller details of renewing and maintaining the old roadbed of the LS&M, or providing depot buildings at either end of the operable section that might be saved. I would encourage all of the stakeholders in this project to embrace the greater reality that even a tiny tourist railroad should be able to return value to the entire community in an attractive, safe and ecologically friendly way. That won’t be inexpensive for the volunteers of the LS&M, or the city of Duluth. I believe that it’s worth trying so save some part of the historic line as long as there is a serious plan in place to improve and maintain it. It should be sustainable well into the future; not just another year or two. Best of luck to all parties involved. I agree with most of what Tony has said except for the barely able to pay for diesel fuel – I was president of the LS&M (non-profit) from it’s beginning in the early 80’s till about 1992 I was also treasurer in the last years before I move out of the area to be close to family. The biggest single cost the LS&M has is insurance. The requirement of the BNSF RR that the LS&M runs on to Tate and Lyle is 50 Million which costs over $45,000 a year for the short time the railroad runs. Next is ever going track maintenance – much of the line has had the original 67 pound rail replaced where it is most important to have the heavy rail. Making a complete historic train would be very costly. The ride over the line is HISTORY. Yes you could walk the path but riding in an open window passenger coach (which the LS&M uses) gives you the feel and the narration by the volunteers gives you the story. I agree with the author on this subject. He summarized the pros and cons of keeping the line and especially the cost issue. Sometimes you have to let it go like the other countless historical facts and buildings that have already been lost here in the Twin Ports. I have taken the train twice and I appreciated what the volunteers have done.